On a blustery October night, with the Jay’s in the final innings of their only win during the ALCS I was attending a standing room only town hall meeting in a Liberty Village condo event room. 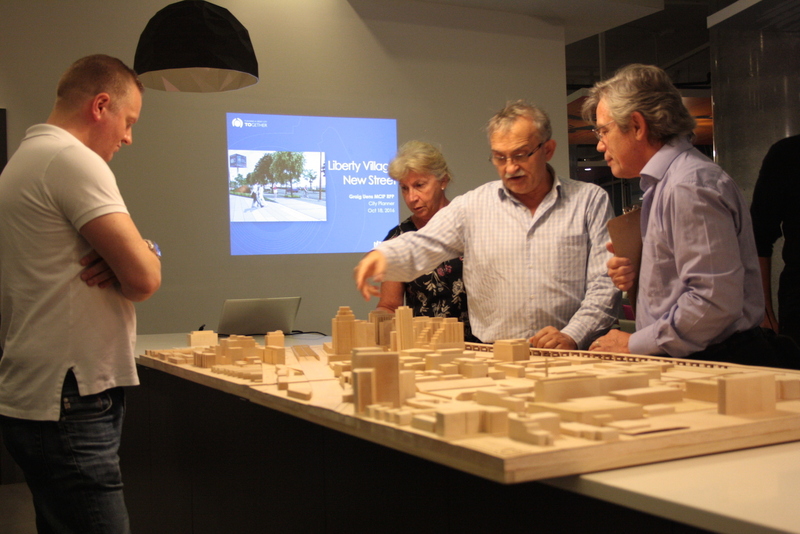 The occasion was to discuss the implementation of a new street called New Street. Bordered by Strachan on the east, Dufferin in the west, King to the north and the Gardiner Expressway to the south; Liberty Village has, over the last decade, become one of the fastest growing neighbourhoods in Toronto. Up until the early 2000s it was home to animation studios, architects and artist studios. In the past 10 years there has been unprecedented development. There's been a rash of condos built on long vacant lots, warehouses that once housed carpet and toy factories are now home to start-up offices and there's an excess of restaurants and decor shops. It's arguably a more dynamic neighbourhood than Cityplace to the east, so it's dispiriting to realize how disconnected it is from the rest of the city still. With the rail corridor cutting off most of the north-south streets on either side, the City's planners are just now playing catch up in connecting this neighbourhood with the rest of the city. The initial plan to connect the neighbourhood to the downtown came in the form of the Front Street extension. That plan, which would have ostensibly put four lanes of Gardiner traffic in the heart of south Parkdale, was dismissed after a motion made by Gord Perks in 2008. Map of the proposed plan, courtesy of The City of Toronto. New Street will run along the southern border of the neighbourhood. It will have two lanes of traffic, pedestrian/cyclist multi-use path on the south side, and a tree-lined sidewalk to the north. There will not be any parking. It is intended to link Liberty Village, to connect it further east, and to alleviate the traffic volume. As far as cyclists are concerned - they were more of an afterthought in the discussion. The town hall attendees were more worried about how the new lights on the Dufferin end would impact traffic on Springhurst Road with audible groans from many south Parkdaleans in the crowd. But with a designated cycling path that will run from Dufferin to Strachan and link up to the Adelaide and Richmond lanes into downtown this development is a godsend. Other positive cycling points from the meeting was the confirmation that the Douro Street to Western Battery Road bridge will be built: Construction begins in late 2017, adding a much needed pedestrian link on the north side of Liberty Village to access King Street. At 5 m wide and 45 m long, it will comfortably accommodate pedestrians and cyclists alike. 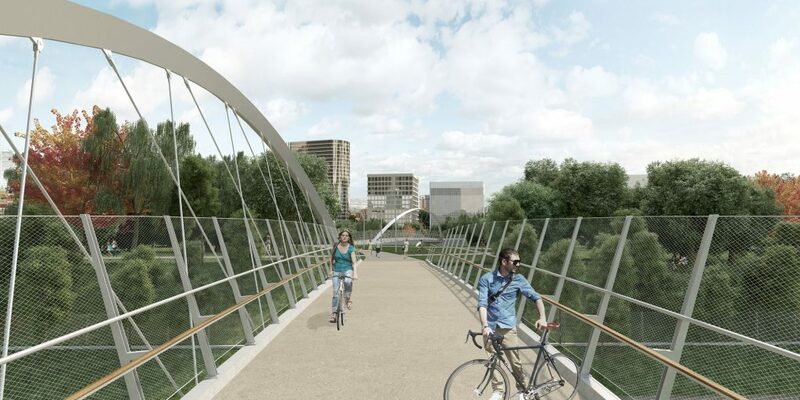 City Planner Greg Uens noted the ongoing construction of the pedestrian and cycling bridge that is being built at Fort York, as well as the future plans for Ordinance Park and South Stanley Park north of the GO train rail lines as well. Even so, there is a dearth of bike lanes in the area. Thankfully, the City appears to be finally getting the message that people really like bike lanes in Toronto. With the promise of the West Toronto RailPath extension south from Dundas, coupled with New Street, and the new pedestrian and cycling bridges - the downtown west will potentially be a far more bike friendly area soon. 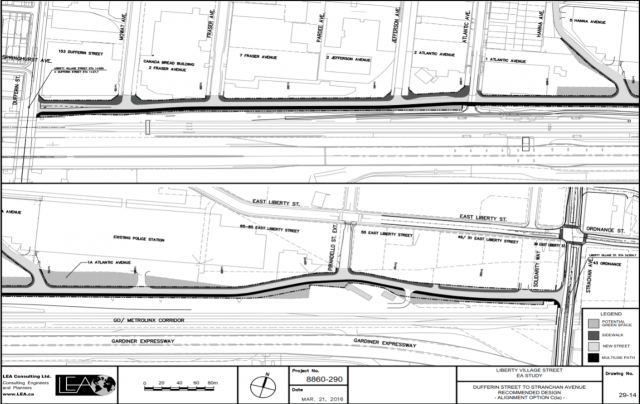 There are also plans for an accessible pedestrian and cyclist connection to the west side of Dufferin Street at Queen as part of the West Toronto RailPath expansion. One can only hope that the city's planning department hasn't forgotten the proposed King High Line. This project would incorporate parkland and a path that would be functional year-round and include a 450-m long bridge elevated above King West and the rail lines. At the meeting planner Greg Uens and councillors Gord Perks and Mike Layton talked a big game of this new multi-purpose street, and council has approved the plan, but the City is in the process of property acquisition and New Street must be added to the Official Plan which is set to be presented to the Public Works and Infrastructure Committee in mid-2017. So New Street is still a long way off. It is projected to cost between $68-$75 million dollars. Despite the grumblings this is, fingers crossed, a positive step forward in dealing with the ever worsening congestion in the city. 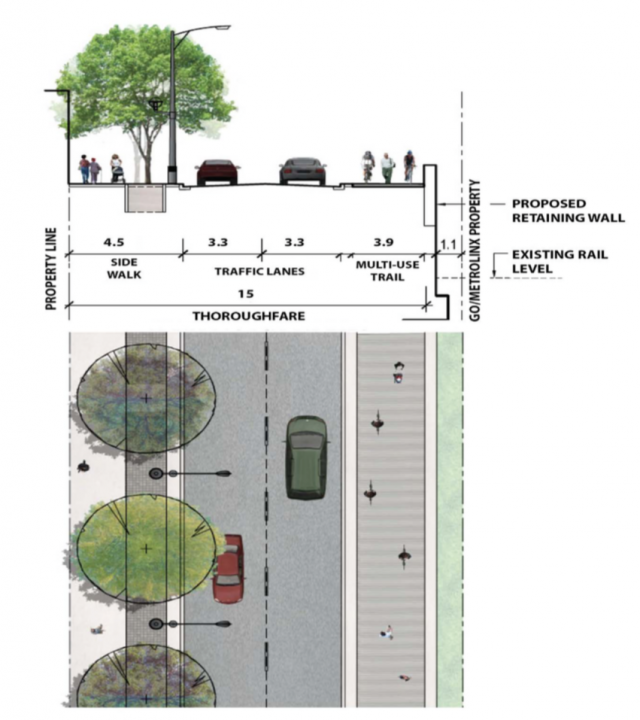 It's promising that plans for New Street include plans for a new bike lane. By considering more cycleways in our plans we can continue the growth of the city in a healthier way. If you live in south Parkdale and are concerned about traffic and parking issues there is a community meeting on October 25. To read the Staff Report from the City of Toronto about New Street go here.